Jennifer Lawrence and Chris Pratt might be a studio bean counter’s dream pairing. Jennifer Lawrence was ranked as the most bankable star in 2013 and 2014, while many sources proclaimed Chris Pratt to be the most bankable star of 2015. The blockbuster duo now star as Aurora and Jim in Passengers, an action-thriller about two strangers who are on a 120-year journey to another planet when their hibernation pods wake them 90 years too early. Jim and Aurora are forced to unravel the mystery behind the malfunction as the ship teeters on the brink of collapse, jeopardizing the lives of the passengers on the greatest mass migration in human history. Jim and Aurora’s companion is Arthur, the bartender on board the ship. An android with a remarkably human upper half, he moves with efficiency, grace, and skill, and responds to passengers’ worries and anxieties with a kind word and warm heart – if a little naïveté. “Arthur is an important element to their mental state, because he’s the closest thing to a human that they have besides each other,” says Lawrence. But as luxurious as the ship and their surroundings are, Aurora and Jim soon realize that something has gone terribly wrong. To create the appearance of Jim being weightless, stunt coordinator Garrett Warren created a spinning ring with an extension of a speed rail and a counter balance weight on the back of it. Chris Pratt would be able to move freely and then Garrett’s stunt team would use winches to fly him back and forth. 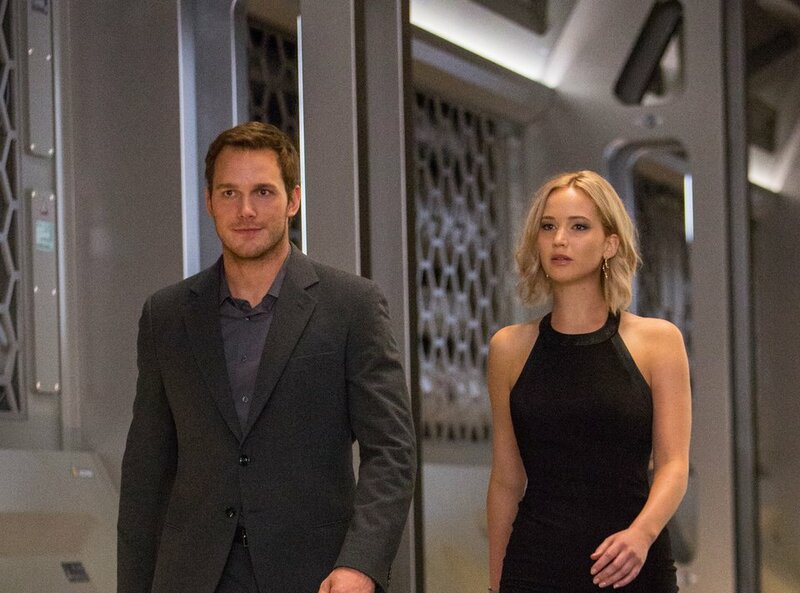 Passengers opens in theaters December 21st.